Egypt has received a lot of negative publicity since the Arab Spring in 2011 and the general instability of the region, but in reality, Egypt is filled with breathtaking historical sites, vibrant night life and peaceful beaches. Here are 8 reasons why you should travel to Egypt in 2018. As part of the Middle East, Egypt is seen as a dangerous country, affected by the migrant crises, the Syrian civil war and the Israeli-Palestinian conflict. The general region is a bit unstable but Egypt is far away from the center of the conflict. Egypt has always been a very touristic country, so Egyptians are very welcoming to tourists. They will always make you feel at home, look out for you, give you directions and help you out. Many people on the street speak English, even if it’s only a few words and walking around with your phone is completely safe so you can use Google maps and Google translate. Egyptian culture is very tough on robberies so it’s not common to have your bag stolen or to get pickpocketed, especially outside touristic areas. I lived in Egypt for six months and I have never felt safer. 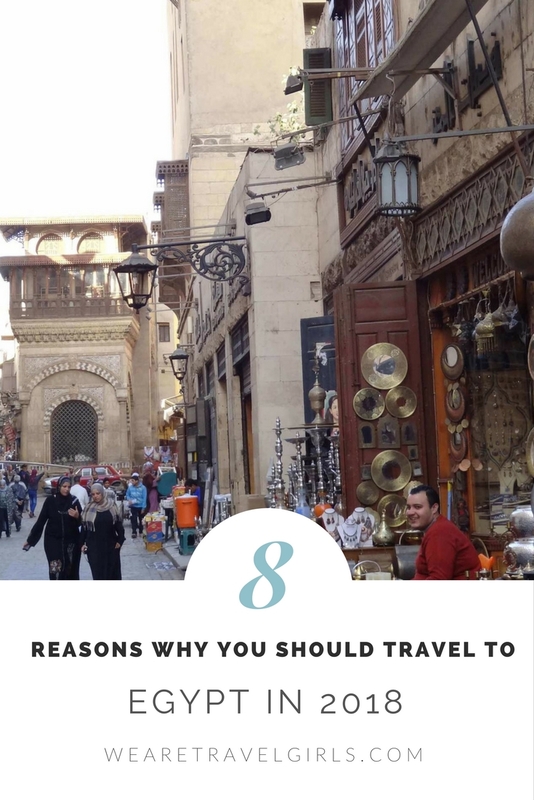 It is very obvious when you are a foreigner, no matter where you come from, and that’s an advantage in Egypt because making a good impression of the country is essential for attracting more tourists. I am not going to sugar coat the street harassment, it does happen especially in downtown Cairo and Alexandria; in these two cities you should cover your shoulders and legs but all other cities, especially the beach cities, don’t have any restrictions. The conversion rate from dollars or euros to Egyptian pounds has always been extremely favorable. After some economic reforms in 2016 the Egyptian pound lost a lot of its value and now one dollar equals 18 Egyptian pounds-L.E. You can ride the metro for 2 L.E, or get a great meal for 100 pounds (5 dollars). Also, you can haggle for anything! So, your money will take you a long way. 2018 is the perfect time to travel to Egypt because tourism still hasn’t fully recovered so tour and hotel prices are still low and there aren’t that many people so you can take perfect pictures without tourists. Cairo is a city of 20 million people rushing around constantly. It can be stressful but that’s why there’s always a fun plan at any hour. You can go clothes shopping at midnight, order take out at 1am, go grocery shopping at 5am, and get into a traffic jam at 3am. The streets are never empty so you will always find something to do and you will never be alone on the street (making it safer). There are great bars like Cairo Jazz Club where you can listen to live Egyptian and regional bands every night of the week or the Tap, a pub that has great beer and music. There are hundreds of pubs and bars in downtown Cairo and neighborhoods like Maadi or Zamalek. One of the most famous ones is el Horreya Café in Downtown. In Arabic, a local cafe is called an ‘Ahwa baladi’, you will recognize them when you see people in small chairs and tables on the street smoking shisha and drinking tea. There’s always time for shisha in Egypt! There are also cultural plans like going to a Tanoura show, a traditional Sufi dance in which performers have big round colorful skirts that create stunning patterns while they spin around to the rhythm of the music. These dances are common all-around Egypt but the best one is in Islamic Cairo, at El Ghouri Complex on Mondays, Wednesdays, and Saturdays at 7 pm (entry is free so go early). 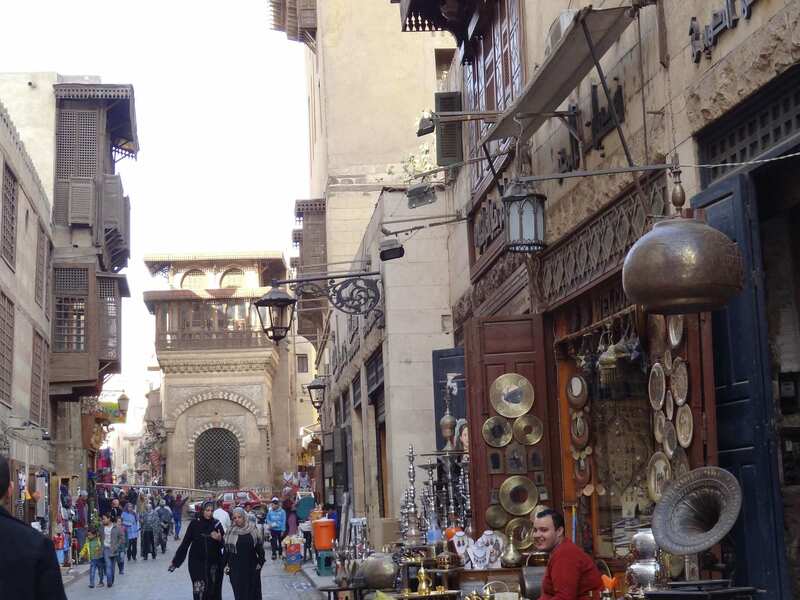 You can also enjoy Oud concerts in the House of Oud (Bait-el-oud) in the streets of Old Cairo. You will get fat in Egypt. 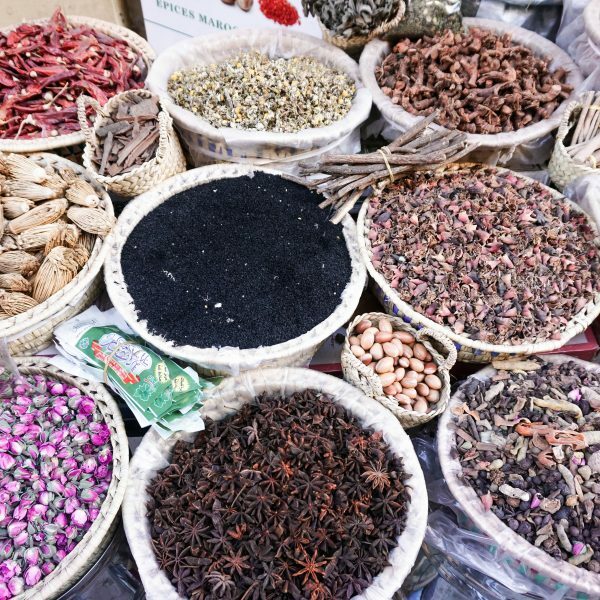 Egyptian food is filled with flavor, but it’s not spicy, so you can enjoy without pain. The most common Egyptian food is fool (fava beans) with falafel, you can buy this at a cart on the street (not recommended for sensitive stomachs), at cheap chain restaurants or at fancier restaurants. The trend in Egypt is for restaurants to cook traditional street food in clean establishments, so you can enjoy this tasty food without getting stomach sick. Some places to try delicious Egyptian food are Cairo Kitchen and Zooba. Vegetarians should definitely make Egypt their #1 travel destination in 2018, a lot of the local cuisine is naturally vegetarian and even vegan. Koshary is a traditional Egyptian dish you can buy on the street that consists of rice, macaroni, tiny noodles, lentils, chickpeas, fried onion and tomato sauce. It will make you fat, but happy. You cannot miss the desserts: basbousa and kunefah are basically semolina dough with butter and honey and are at least 300 calories per bite but 100% worth it. The best place to eat these desserts is Mandarine Koueider (there are a few around Cairo). The pyramids are the least amazing monument in Egypt (sorry pyramids!). You can go up or down the Nile on a small cruise to see 5000 years of pharaonic greatness. 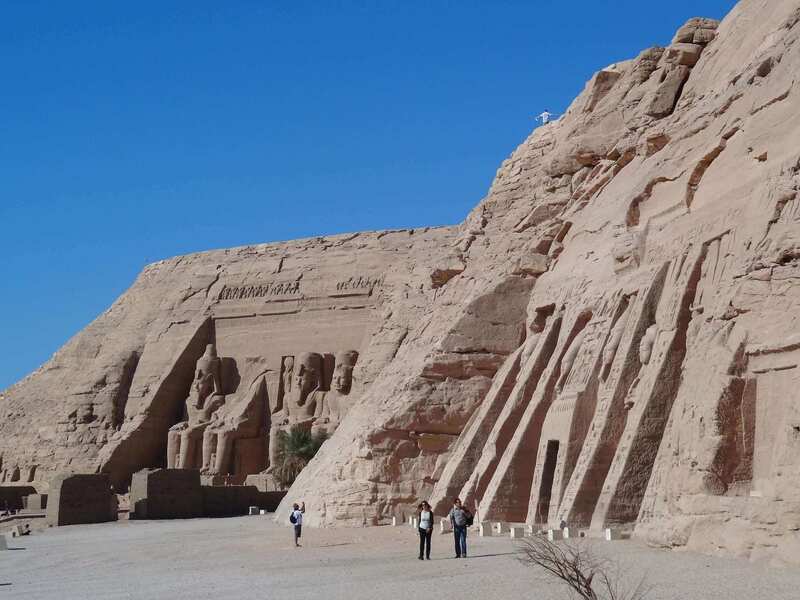 These temples show how each Pharaoh was always trying to outdo the previous one. 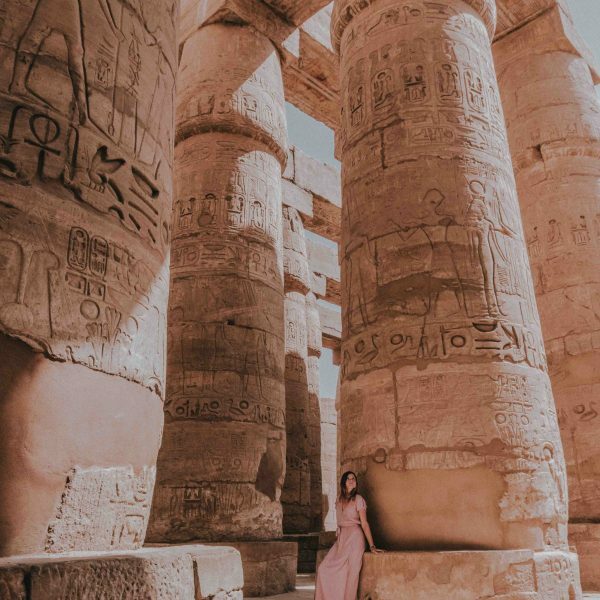 The huge marble statues and columns carved with hieroglyphs make you feel like you’re in a different era. There are some temples that still have color. 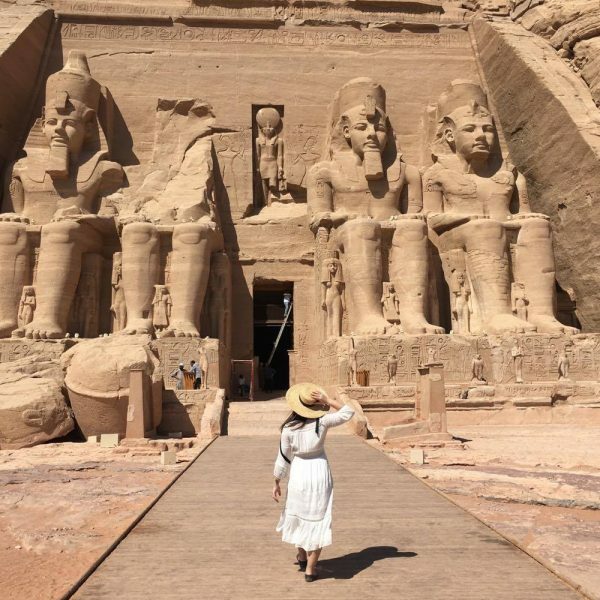 For me, the most impressive temples are Abu Simbel, two temples built in the 13th century BC by Ramses II. 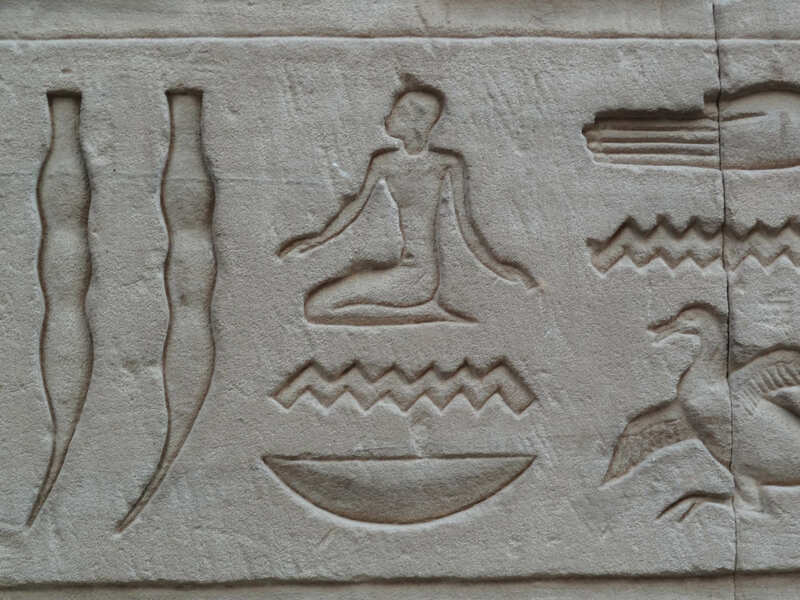 In 1959 the Egyptian government decided to build the Aswan Dam so the temple was going to be submerged with water. An international campaign to save the monument lead by UNESCO paid to dismantle and relocate the temple to where it is today, 65 meters high and 200 meters back from its original position. 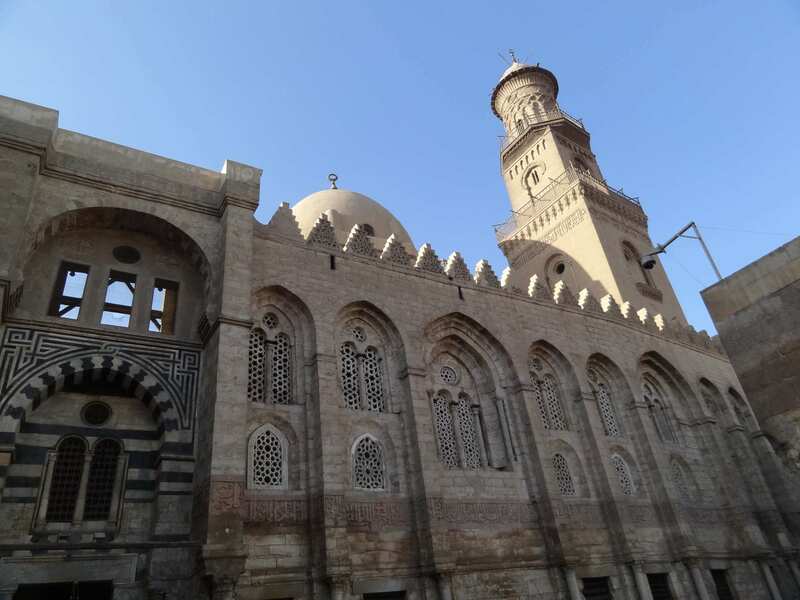 The history doesn’t stop with the pharaohs, Islamic history and architecture is as impressive as the temples. 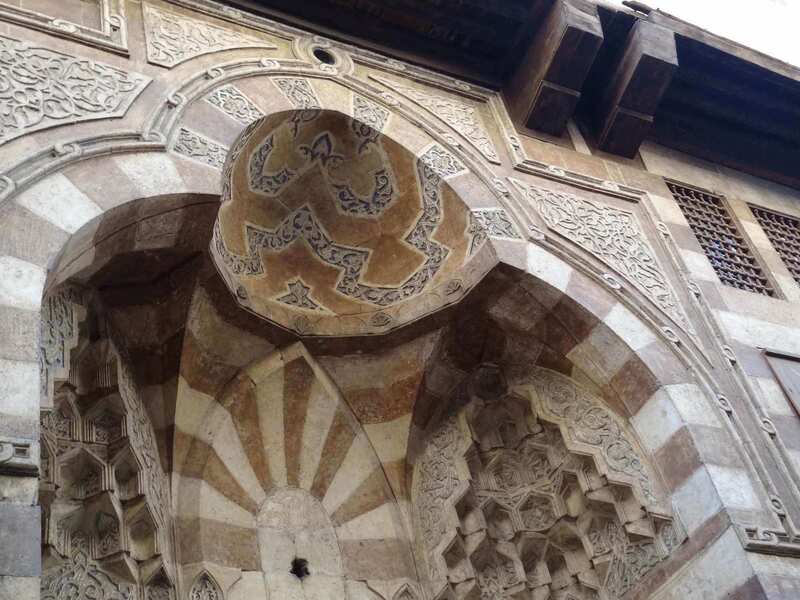 The streets of Islamic Cairo are a thousand years old and the walls of each mosque are carved with Arabic calligraphy. The windows and balconies are also decorated with elaborate patterns and tiles. 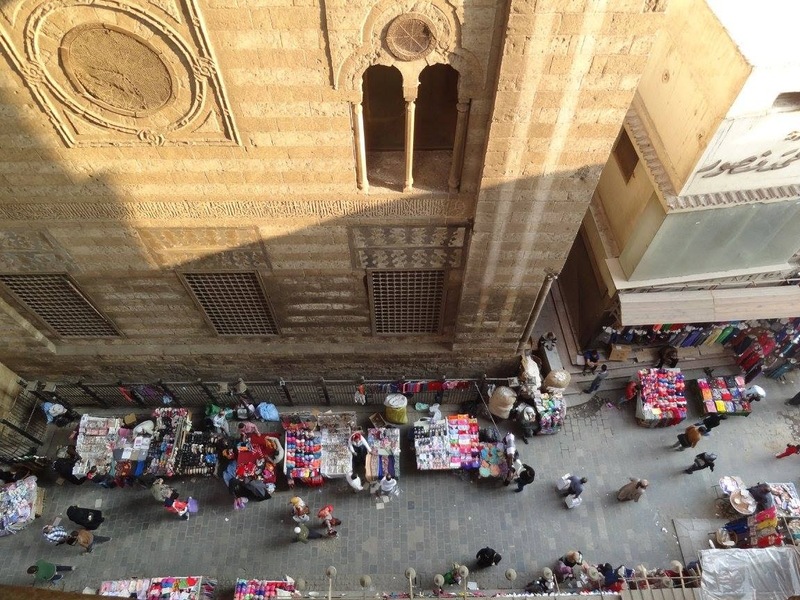 In this neighborhood, you can find the famous Khan el Khalili market where you can buy shishas, pashminas and souvenirs. 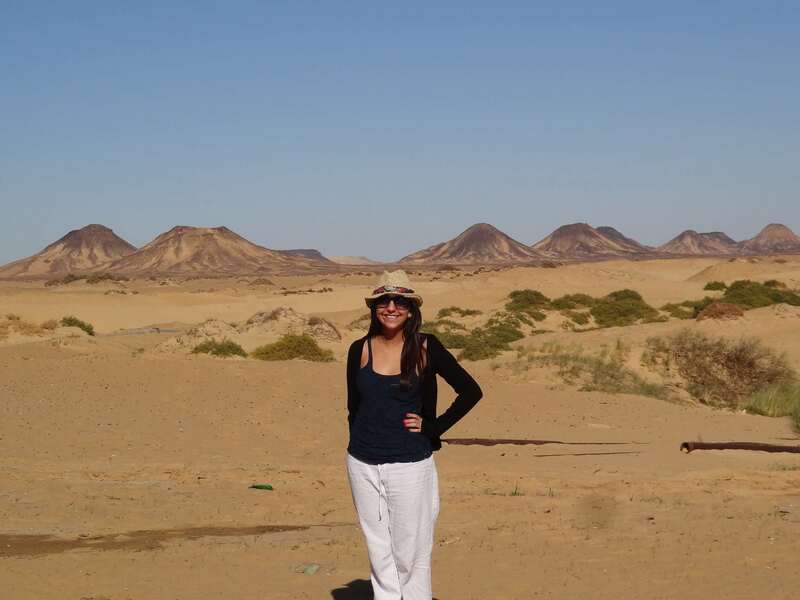 Check out Issy Adventures for great Egypt tour options! I know it seems that every country has amazing beaches, the Caribbean, South East Asia, but Egyptian beaches are the best of all. You can go to the Mediterranean (Alexandria) or the Red Sea (Sharm el Sheikh, Hurgada, Dahab), the first one wavy and adventurous, the second one calm and full of corals. Red Sea corals are the most resistant to climate change and the visibility is exceptionally high due to low rainfall, making it perfect for diving. On top of this, Egyptian beaches have two great advantages. They are on the desert which means no bugs! No mosquitoes, crickets or any annoying creature of the tropics. And since most beaches are kilometers away from big cities the sky is always filled with stars. In some places, you can even see the Milky Way. You can enjoy these beaches from a five-star resort or a hut on the beach. There are infinite options. Cities like Sharm el Sheikh and Hurgada are filled with huge resorts, three-floor night clubs and fancy restaurants. If you prefer more budget friendly options you can stay in tiny huts in front of the beach in small camps along the Sinai Peninsula. In these camps, you will pay around 10 dollars a night for food and accommodation. 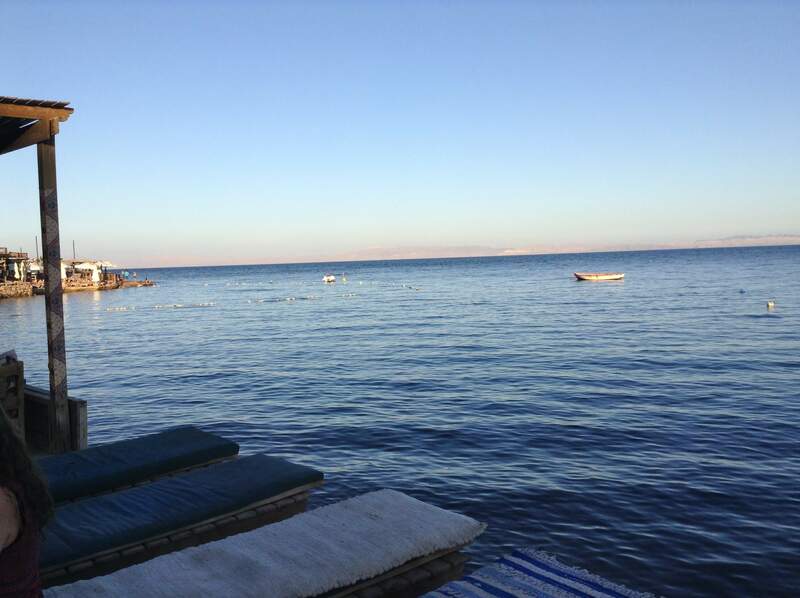 You can also go to Dahab, a small hippie beach town and from there you can hop around the more secluded beaches. The options also apply to food, night-life, tours and everything in between. As I said, it’s cheap so you can find food carts on the street that sell a falafel sandwich for 3 Egyptian pounds, a shisha for as low as 100 L.E, or fancy bars overlooking the Nile that sell cocktails at European prices. There’s a lot to choose from. Egypt will definitely change your life. The mix of pharaonic history, Islamic architecture and culture, modern nightlife and calm beaches will make you want to explore every corner of the country. Egypt has been, and still is the center of trade, the door between the east and the west so it is filled with different influences and experiences to discover. Don’t let yourself be influenced by the negative press, traveling to Egypt in 2018 will be the best decision of the year! Have you ever been to Egypt? We’d love to hear your stories, tips and questions in the comment section below! Thank you for this! We just returned from Egypt and have such a hard time explaining to people how awesome it was and how safe we felt! Thanks so much for the info – would you have any additional advice for visiting during Ramadan? Thank you for this great review, was a bit scared to go with young family due to security stuff you see posted everywhere but you’ve reassured me..cant wait!!!! wow, I will definitely use this when going back to Egypt! I recently went there for a diving trip and I absolutely loved the house reef in front of the iDive centre in Hurghada (https://dive.site/explore/site/house-reef-ovo3), so many corals and colourful fish! I only went to Luxor this time after finishing the Open Water course, but I really want to explore more of this fascinating country. Egypt is no doubt an amazing place. I was planning to have a visit to this great place with friends but was a little insecure about its safety and security. But after reading this post, I am secured that it will be one of the most wonderful Egypt Tours trips ever. Can’t thank enough you for this beautiful blog post. You are serving an awareness not only about the place and its beauties but also clearing up many queries of viewers who are having such insecurities like me. Really appreciating your work. Keep up.